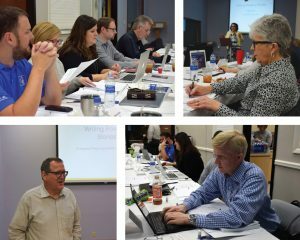 In early November, a group of 20 writers, editors, and publicists from five EPA member organizations participated in a Writing Powerful Stories seminar led by Anne Marie and Mark Winz. The seminar was hosted by ONE Magazine at the Free Will Baptist denominational headquarters in Antioch, TN. The daylong session featured strategies to help writers gather, sort, and organize material and shared two ways to outline articles for stories and for persuasive content. 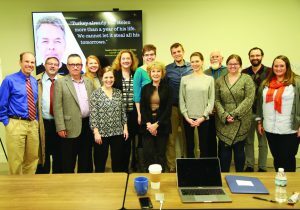 Another group of 14 from eight publications attended a Content Strategy seminar, hosted by Sojourners at their Washington, D.C. headquarters in late October. The session was led by magazine consultant Lou Ann Sabatier. EPA co-sponsored the seminars with the Associated Church Press.